Almost after one and a half years, Reik have managed to get back into the top 10 of the Hot Latin Songs chart. The Mexican trio known for their pop-rock brand of music, have returned to the fold with the song ‘Me Niego’, which features Ozuna and Wisin, as the song climbed three places from No. 12 to No. 9, on the list dated March the 24th. ‘Ya Me Entere’ which featured Nicky Jam, was the last single by the band to be in the top 10. It got the highest position of No. 6, during the months of August and September in 2016 spent in the region. 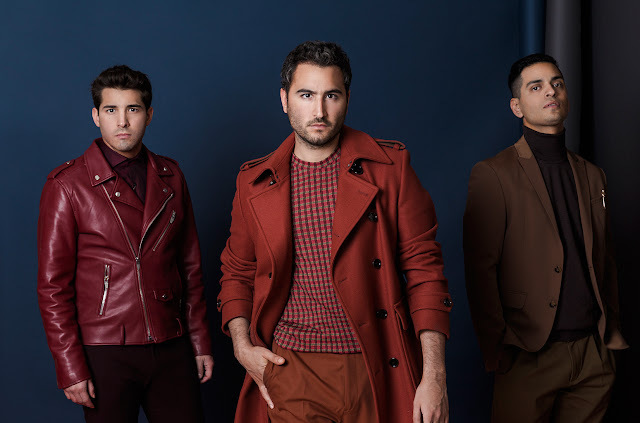 Reik have managed their third track in the top 10, with their first ever coming back in 2009, when Inolvidable peaked at No. 3 in the chart, and it is the ninth for both Winsin and Ozuna. The Hot Latin Songs combines a song’s airplay, stream as well as sales, to determined their rank in the chart. For ‘Me Niego’, the major contributor was streams, though the airplay numbers did experience an uplift, despite the song going down a place from 26th to No. 27. The Latin Airplay saw the chart witness a 3 percent increase, as it collected a total of 6.1 million audience impressions across the week that ended on March 18th. In the Latin Streaming Songs chart, the track moved up to No. 8 from 11th, thanks to a 13 percent increase, with clicks totaling at 5.8 million in the week that ended March 15th. It also gained spots in the Latin Digital Song Sales chart, moving up to No. 11 from the 15th position, with 2,000 downloads which was a 30 percent increase. Finally, the Bubbling Under Hot 100 chart saw the track rise from 14th to No. 7. In other places in the Latin airplay charts, Piso 21 was on the move with ‘Dejala Que Vuelva’, which features Manuel Torizo, as the track the topped the Tropical songs airplay chart. This is the song’s 15th week in the chart, as it gained a position from 2nd to 1st, collecting a 4 percent increase with 10.5 million audience members. This is the second track to feature in the list for Piso, with ‘Suele Seceder’ featuring Nicky being the first one in 2015. The Latin Airplay Chart sees the track drop down from 8th to No. 11, as it was the first top 10 for both Piso and Turizo in the rankings last week. Meanwhile, in the Regional Mexican Songs, ‘El Problema’ helped secure the first No. 1 spot for Alfredo Olivas. The 23-year-old’s track moved up to places from 3rd to 1st, owing to a 6 percent increase in the audience impressions. It’s almost been a year since Olivas managed a track in the top 10, with seven number of weeks spent by ‘El Paciente’, between March and May in last year, during which it managed a peak of No. 6. The song climbs in the Latin Airplay Chart as well, going from 16th to 14th.